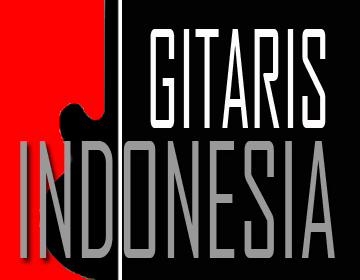 www.gitarisindonesia.com - Rio Faturachman (Reeyow) Depok, 16 February 1982, West Java, Genre Alternative, He studied guitar after seeing Brian May in the video clips "Bohemian Rhapsody" and "Spread Your Wings". he was also interested in the style of the game Slash in the video clip "Do not cry" and "November Rain". at the age of 11 years learn to use the guitar by self-taught at the age of 11 years. The first song he played was "Dead Horse" from Guns N 'Roses. Then at the age of 13 years began to fondle Red Hot Chili Peppers. In 1996 began to make a song and participate in the band's competition by dreaming of becoming a Musician who has a recording album. Many festivals were followed since 1997 and reached the Final level, but won the championship. 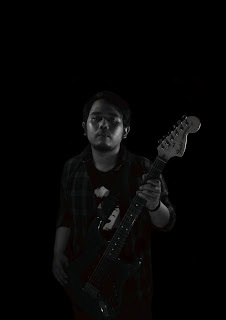 In 1999 after graduating high school has a chance to explore the electric guitar on one of the best guitarist in Indonesia, namely Edo Widiz. When he started his lecture at National University (UNAS) Jakarta at the end of 2000 he joined the music campus unit of National University Student Creativity (KREMM UNAS) and formed Anak Manis Dari Goa Hantu (AMANDAGOHAN), since May 11, 2002 and released mini album in year 2005 is self released. This mini album printed 750 pieces of cd, circulated through to various distros in Jabotabek + Bandung, sold out. In 2006, the band AMDGH was not active because of the busyness of each personnel. Music activity was stopped because it entered the world of office as an employee, but the sense of homesickness and the many inspirations to make a song during that era affect Rio to form a new group with the name of Project A on February 11, 2008, On December 27, 2009, Project A released a mini album titled " Morning Story "is still self released in CD form and sold 500 pieces in Jakarta and its surroundings. Unpatented Project A, and coupled with a major label in Indonesia releasing a single from the band with the same name "Project A", Rio finally decided to change Project A's name to The A Lovers, but the band was also inactive, Rio decided to focus on music. Rio returns to work and makes songs. Until 2016 began recording songs he had made for his solo project. he finally chose to pursue a career more efficiency in music. Rio is determined to pursue a solo career and is realized with the release of the single "Hari Yang Cerah" on the day of birth February 16, 2018. 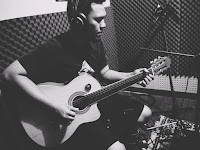 In the days leading up to the release of this solo single, Rio reunited with the Guru, Edo Widiz, where he is planning to form a community of guitar players who finally named GuitaRitual. In this community Rio was introduced with Puguh Kribo, John Paul Ivan, and more. Thanks to the support of this community also the movement of Rio is more directed in guitar and music. Currently, Rio is working on the next single. Hopefully all goes well and more accepted in Indonesia music scene.